News — Emmy's Angels Inc. It's OFFICIAL! 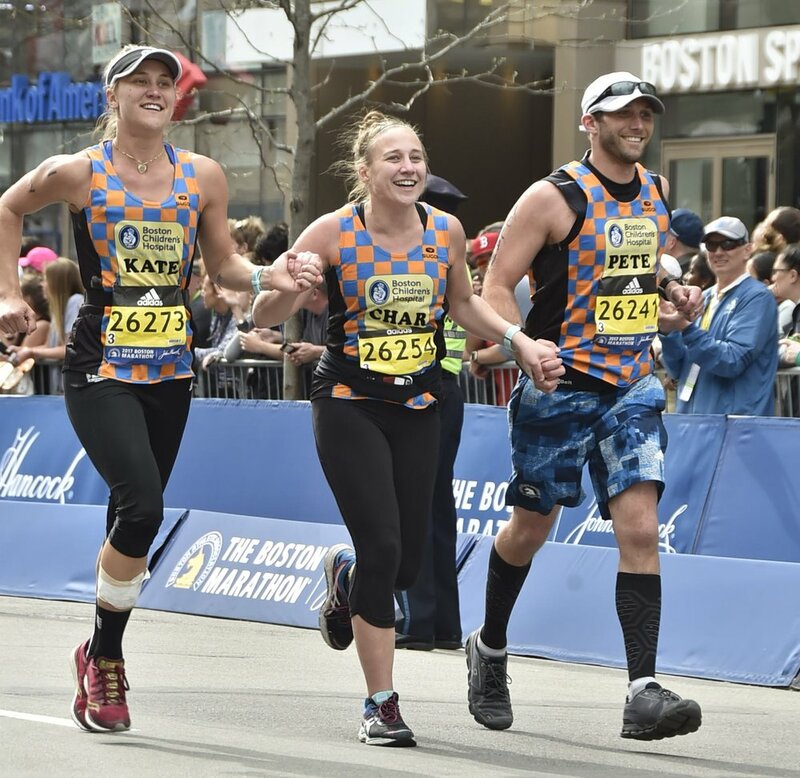 The 3 Cipolletti siblings who ran the Boston Marathon last year were chosen again to represent Boston Children's Hospital. Charlotte, Kate and Pete hope to raise MORE than they did last year...which was $54,000! Thank you in advance for all of your support and generosity. Emmy's Angels is proud to announce its partnership with Boston Children's Hospital's Pawprints program, this year's recipient of golf tournament proceeds. Paw Prints is Boston Children’s Hospital’s animal assisted visitation program. Pawprints provides patients and their families with a healthy diversion from the usual hospital routine and an opportunity for social interaction. Join us on September 28th, or donate prior to the event to help us raise money for this Amazing program! Recently Jamie Fagan and his teammates participated in the Cradle 4 a Cause (http://www.cradle4acause.org/) Lacrosse Tournament taking home $500 for Emmy's Angels! Thank you to Jamie and his teamates for their hard work! Support us on Prime day! We are going through some changes! Emmy's Angels has begun to transition to our new branding initiative. Our new logo was launched today, and you will continue to see updates as the next few weeks progress. We are super excited to show you what we have been working on! Thank you for all of your support during our training for the Boston Marathon! We managed to raise over $54,000 for Boston Children's hospital, and met life long Patient Partners who continue to inspire us every day. Thank you for your show of support for Emmys Angels! We are quickly approaching Marathon Monday and invite everyone to come cheer us on! Emmy's Angels is happy to announce that its been accepted to the Amazon Smile program. Amazon will donate a portion of your purchase to Emmy's Angels as long as you are using smile.amazon.com. Bookmark us! Emmy's Angels on the Cover of the Clipper! We are super thankful to be interviewed and featured in the Duxbury Clipper! We are super proud to announce that Emmy's Angels have raised almost $40,000 for the Boston Children's Hospital. This money will be used the towards research and care that will help thousands of Children in need.